Thank you for sharing your knowledge with the NAAAHR Community! 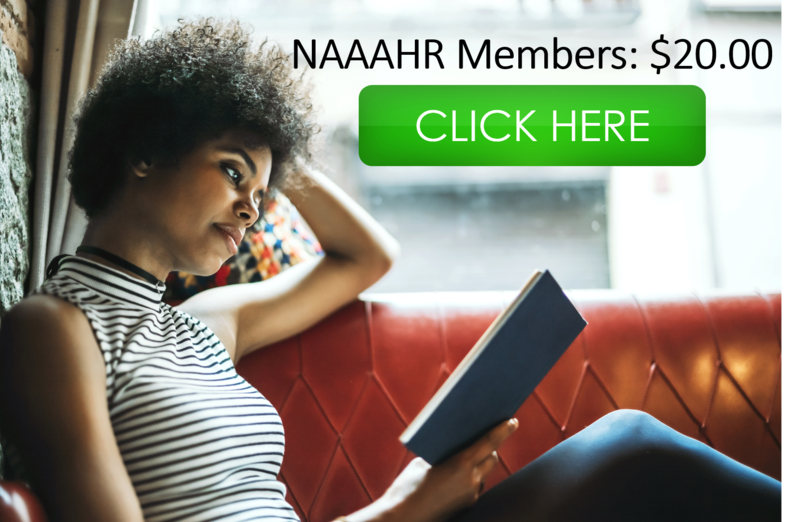 Your book will be featured to over 15,500 NAAAHR Community members. We are excited that you've decided to have your book posted in our book store for the next 12-months. Once you have completed your first year you will receive a recurring payment notification to continue to have your book posted for an additional 12-months. The Books store is only for marketing and advertising of Books. Business Marketing can be gain by purchasing the NAAAHR Business Owner Membership. Please note that all links to purchase books will go directly to the Buy Page for the book or to a page that will provide information on how to make the purchase. Buy pages will not link to business websites.